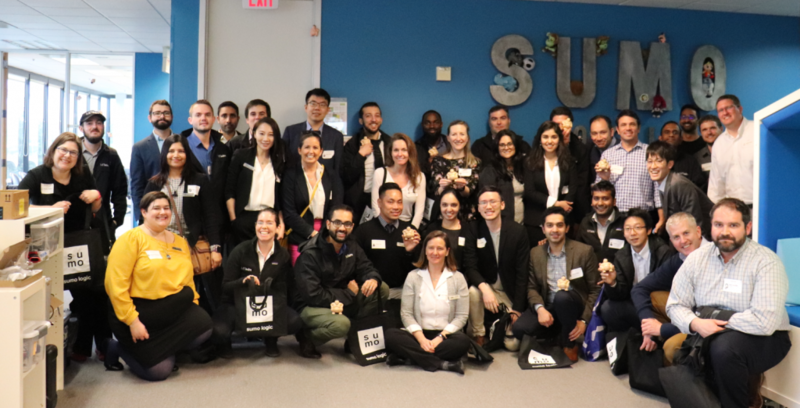 Every year, MIT System Design and Management (SDM) students visit some of the world’s most innovative and successful companies in the San Francisco Bay Area to learn about innovation, leadership, and systems thinking from industry experts. 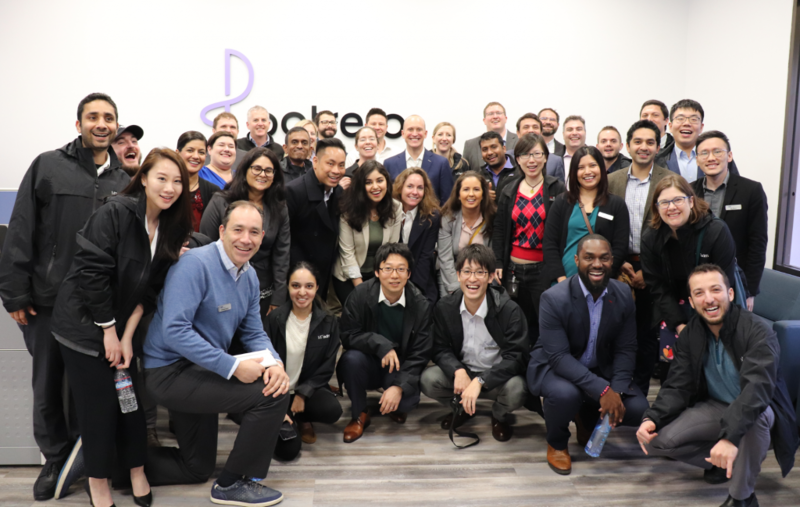 During the spring 2019 SDM Tech Trek, which ran from March 25 to 29, participants visited a variety of companies across multiple industries, including software, hardware, agriculture, and healthcare. The first company visited during the SDM Tech Trek was C3.ai, located in Redwood City, CA. C3 is a software provider for rapidly developing and operating artificial intelligence, predictive analytics, and Internet of Things applications at the enterprise scale. Uma Sandilya, Vice President of Applications, gave a presentation on how C3 applies engineering and management skills to drive digital transformation for Fortune 500 companies. We also had an amazing office tour with SDM alum Jake Whitcomb, Director of Products. 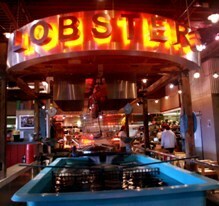 The visit concluded with a networking lunch with employees from several departments. Sumo Logic is a cloud-based machine data analytics company that focuses on security, operations, and business intelligence use cases. Based in Redwood City, CA, the company provides log management and analytics services that leverage machine-generated big data to deliver real-time IT insights. SDM students heard presentations from Chief Communications Officer Aaron Feigin, founding Vice President Bruno Kurtic, Senior Director of Product and Management Michael Marfise, and Product Manager and SDM alum Angad Singh. After the presentation, we toured the office. We started our second day at Blue River Technology, located in Sunnyvale, CA. This company has been developing See & Spray equipment using machine learning and computer vision. This technology is able to identify a variety of crops and weeds and precisely spray herbicides on weeds. The system continually improves by automatically checking its work as it operates. This smart technology can reduce herbicide costs by 90 percent and unlock the ability to use herbicide alternatives. We enjoyed interactive sessions with CEO Jorge Heraud and employees from several of the company’s key departments. Finally, we got some hands-on experience with the company’s products. Some of us even got to ride a John Deere tractor! Bloom Energy provides clean, reliable, and affordable electricity through its innovative fuel cell technology. We were welcomed by Senior Cybersecurity Engineer and SDM alum Adrien Laws, Senior Staff System Engineer Karthikeyan Sengodan, and Product Marketing Manager and MIT alum Mabel Feng. After a series of insightful presentations, we received a tour of the manufacturing facility from Operations Manager Gema Guillen. 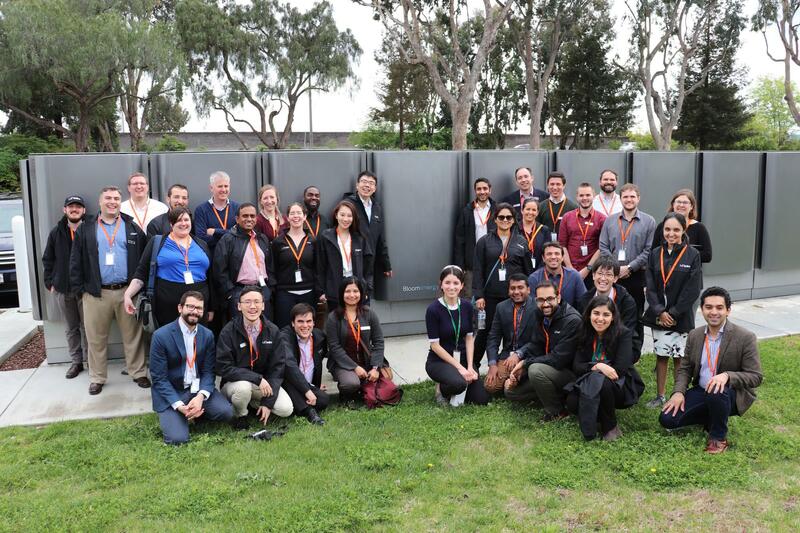 We learned that each Bloom Energy Server produces 200 to 300 kilowatts of power in a footprint roughly equivalent to that of half a standard 30-foot shipping container. SDM fellows met with Potrero Medical leaders in their office in Hayward, CA. The mission of Potrero Medical is to help doctors transform patient care by building a predictive technology platform for the early detection of critical illnesses using artificial intelligence. We were introduced to the company’s Accuryn product by CEO Joe Urban. In addition, we really enjoyed meeting Vice President of R&D Rich Keenan, Head of Products Jeff Alvarez, Vice President of Strategy and Global Business Development Rebecca Lin, and Director of Growth Omar Khateeb. Okta, in downtown San Francisco, CA, provides software services for identification that include a single sign-on solution that allows users to log into a variety of systems. We toured the office and attended a presentation by two product strategy managers, Jess Starr and Lindsey Bly. We learned that the company’s product goals include developing single sign-on, lifecycle and mobility, and API access management in a huge ecosystem. The fourth day of the trip was all about big tech. 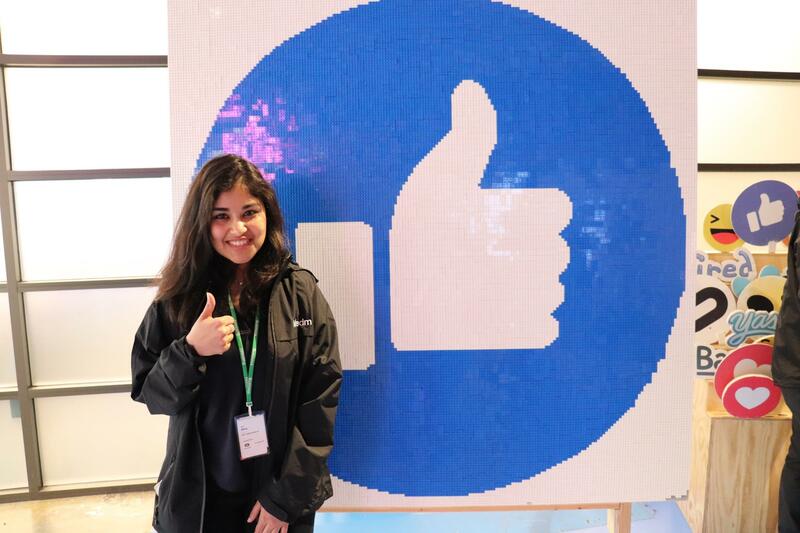 The first stop was Facebook’s beautiful, amusement park-like campus in Menlo Park, CA. 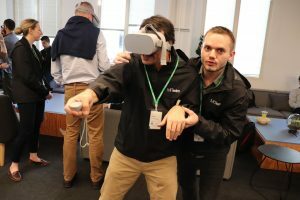 We were introduced to some of the company’s more recent projects and products, including Facebook Connectivity, Oculus, and the new smart-home video-chat device, Portal. It was heartwarming to see SDM alumni Eric Xu, Alex Shih, and James Paul. 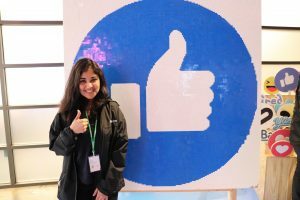 We learned how Facebook defines different flavors of engineering and management within the roles of product manager, technical project manager, and engineering manager—and how the three work together. The same day, we were also welcomed by Engineering Manager and SDM alum Yoav Shapira and his team from Instagram. Unfortunately, due to time clashes with celebrity visits, we were unable to meet at Instagram’s office. One of Yoav’s engineers said that working in a big-tech company like Facebook or Instagram is a great experience, noting that the very well-established software development tools help engineers to work more effectively. The second stop that day was a must-visit company, Google. 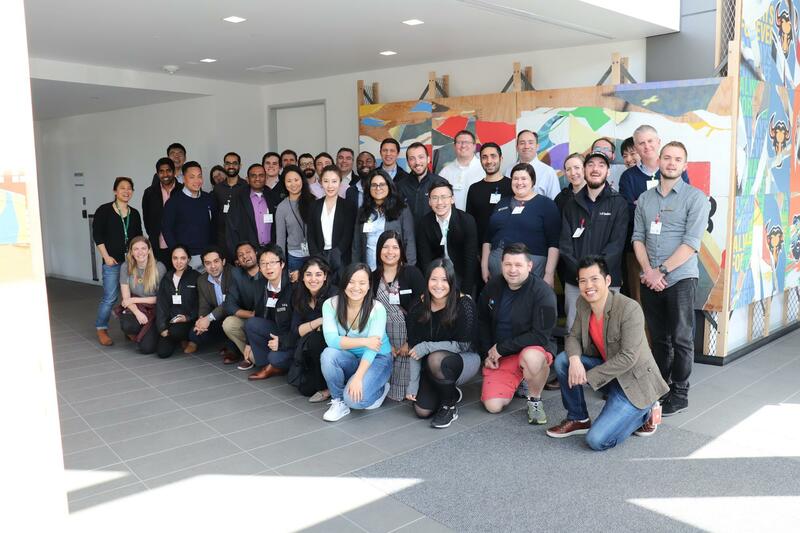 We were invited to the company’s Sunnyvale, CA, office, where we were welcomed by dozens of speakers, many of them SDM and MIT alumni. All of them worked on different projects at Google, including Google Cloud, YouTube Advertising, Waymo, and so on. 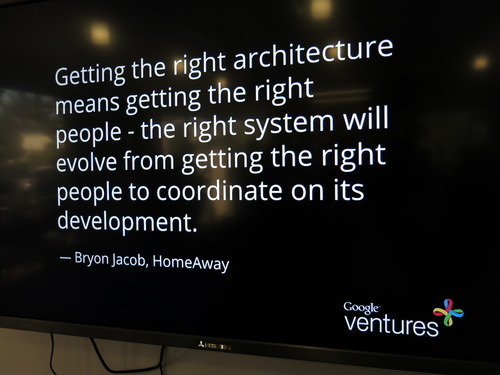 Having so many speakers from diverse projects and roles within Google gave us interesting insights—especially on how we might proceed in our careers as technical leaders. Special thanks to SDM alum Na Wei for organizing such a great panel. Lawrence Livermore National Laboratory (LLNL) is a federal research institute for applying science and technology research to support national security. 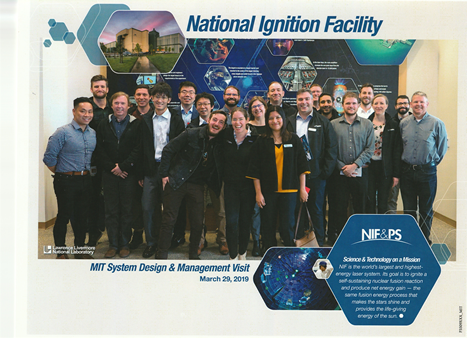 We visited the LLNL’s National Ignition Facility (NIF) in Livermore, CA. NIF uses lasers to heat and compress a small amount of hydrogen fuel with the goal of inducing nuclear fusion reactions. We toured with Henry Hui and Nicholas Muetterties, both SDM certificate students and LLNL affiliates. They explained how systems thinking is used to manage LLNL’s big projects, which involve many engineers and researchers. 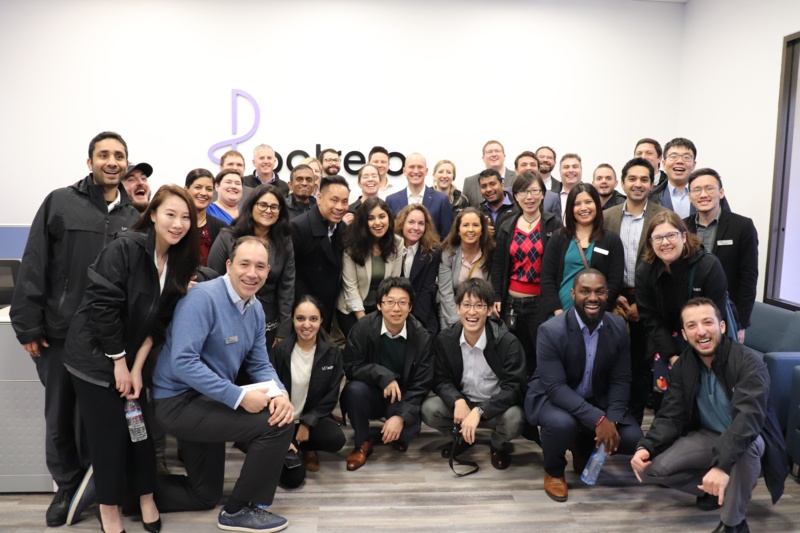 Overall, the spring 2019 SDM Tech Trek was a fruitful and unforgettable experience for SDM fellows. In addition to learning from a great variety of companies across different industries, students also enjoyed social events with local alums at wonderful venues around the San Francisco Bay Area. This year’s tech trek was a collaborative effort between SDM ’18 students led by Lisa Crofoot and Monisha Pushpanathan and SDM staff Rutu Manchiganti, Amanda Peters, Naomi Gutierrez, James Collins, Ben Linville-Engler, and Joan Rubin. This entry was posted in Homepage News Item, News on April 24, 2019 by Naomi Gutierrez. Check out the article at the Washington Post! This entry was posted in News on October 26, 2018 by Naomi Gutierrez. This entry was posted in News on May 30, 2018 by Naomi Gutierrez. Ben Levitt and Katy O’Brien, both SDM ’12, have been featured on the Slice of MIT blog for their product OneBin. The bin, created as a class project for 15.783 Product Design and Development, offers travelers an easier way to get their personal items through airline security while also clarifying TSA safety requirements. Check out the article here! This entry was posted in Alumni Blog on December 18, 2017 by Naomi Gutierrez. Check out the latest edition of the SDM Alumni Newsletter! The newsletter is archived online here. 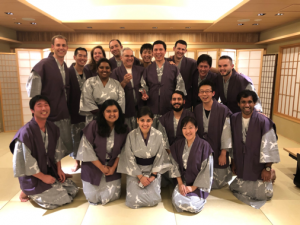 This edition includes recaps of this year’s orientation “boot camp,” our first-ever Systems Night event, and the program’s attendance at the Grace Hopper Celebration, as well as a call for webinar submissions. To ensure you receive the newsletter as well as all our other alumni news, make sure you’re on the SDM alumni email list by emailing ngg@mit.edu. Check out the latest edition of the SDM Alumni Newsletter! The newsletter is archived online here. This edition includes a recap of our commencement celebration, invitations to our fall events and webinars, an introduction to the Alumni Advisors Hub, and spotlights on recent SDM news. To ensure you receive the newsletter as well as all our other alumni news, make sure you’re on the SDM alumni email list by emailing ngg@mit.edu. This entry was posted in Alumni Blog on October 27, 2017 by Naomi Gutierrez. Sorin Grama, SDM ’06, has contributed an article to the SDM Pulse on his process in launching a startup for improving supply chain issues in the dairy industry in rural India. The article is available here on the SDM website. To submit your own article to the SDM Pulse, contact Lois Slavin, SDM Communications Director, at lslavin@mit.edu. This entry was posted in Alumni Blog on July 14, 2017 by Naomi Gutierrez. Check out the latest edition of the SDM Alumni Newsletter! The newsletter is archived online here. This edition includes a recap of the spring Bay Area Tech Trek, invitations to our commencement celebration and upcoming networking events, and spotlights on recent alumni news. To ensure you receive the newsletter as well as all our other alumni news, make sure you’re on the SDM alumni email list by emailing ngg@mit.edu. This entry was posted in Alumni Blog on May 30, 2017 by Naomi Gutierrez. SDM congratulates alum Sandro Catanzaro ’04 on his reception of the High-Tech Immigrant Entrepreneur of the Year award as bestowed by the Immigrant Learning Center of Malden, Mass. 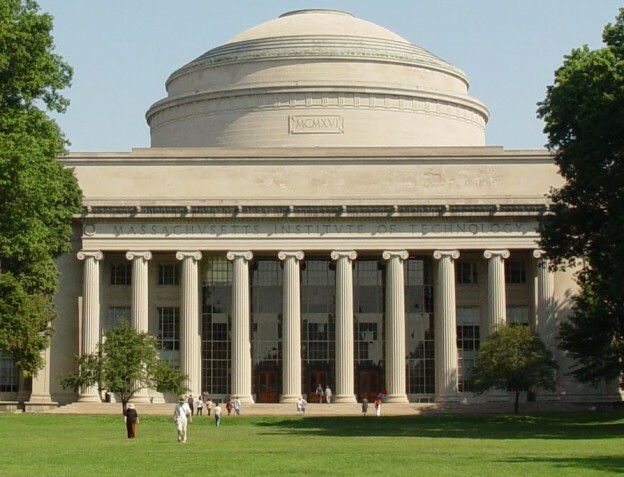 Sandro serves as the Chief Innovation Officer for DataXu, which provides programmatic marketing solutions based on data science that draws on his research performed here at MIT. Please see DataXu’s website and the ILC’s press release for more information. This entry was posted in Alumni Blog on May 10, 2017 by Naomi Gutierrez. Ali Almossawi ’12 has been featured in the MIT Alumni Association’s “Slice of MIT” series with the release of his new book, Bad Choices: How Algorithms Can Help You Think Smarter and Live Happier. Check out the article here! This entry was posted in Alumni Blog on April 13, 2017 by Naomi Gutierrez. Check out the latest edition of the SDM Alumni Newsletter! The newsletter is archived online here. This edition includes some great memories and pictures from the retirement celebration we held for outgoing executive director Pat Hale, as well as a recap of the January Tech Showcase and notes on our upcoming Bay Area Tech Trek. To ensure you receive the newsletter as well as all our other alumni news, make sure you’re on the SDM alumni email list by emailing ngg@mit.edu. This entry was posted in Alumni Blog on March 18, 2017 by Naomi Gutierrez. Check out the latest edition of the SDM Alumni Newsletter! The newsletter is archived online here. This edition includes recaps of the August Boot Camp and Conference on Systems Thinking, as well as a letter from the Student Leadership Committee’s new co-chairs on alumni relations. To ensure you receive the newsletter as well as all our other alumni news, make sure you’re on the SDM alumni email list by emailing ngg@mit.edu. This entry was posted in Alumni Blog on December 6, 2016 by Naomi Gutierrez. Mona M. Vernon, SDM ’09, was profiled in the Boston Globe for her work with Thomson Reuters Labs. To read about her past as a DJ, the importance of her SDM education, and her work at Thomson Reuters, read the full article today! This entry was posted in Alumni Blog on November 29, 2016 by Naomi Gutierrez. 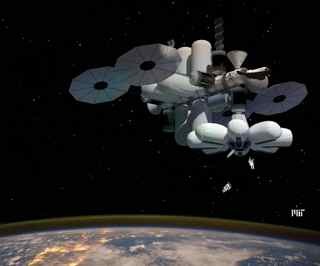 John Sullivan ’97 of UTC Aerospace Systems was profiled on the United Technologies news blog! To see a clip of his interview and read about the importance of his SDM education, visit the post on the UTC website today. This entry was posted in Alumni Blog on November 7, 2016 by Naomi Gutierrez. Check out the full story on Public Radio International’s website today! This entry was posted in Alumni Blog on September 23, 2016 by Naomi Gutierrez. Check out the latest version of the SDM Alumni Newsletter! The newsletter is archived online here. This edition includes a recap of this spring’s commencement and celebration, an update on the upcoming SDM Conference on Systems Thinking, and a letter from the SDM Director of Career Development and Recruitment, Jonathan Pratt. To ensure you receive the newsletter as well as all our other alumni news, make sure you’re on the SDM alumni email list by emailing ngg@mit.edu. This entry was posted in Alumni Blog on September 8, 2016 by Naomi Gutierrez. Read the full article on the MIT Sloan Newsroom today! This entry was posted in Alumni Blog on August 10, 2016 by Naomi Gutierrez. 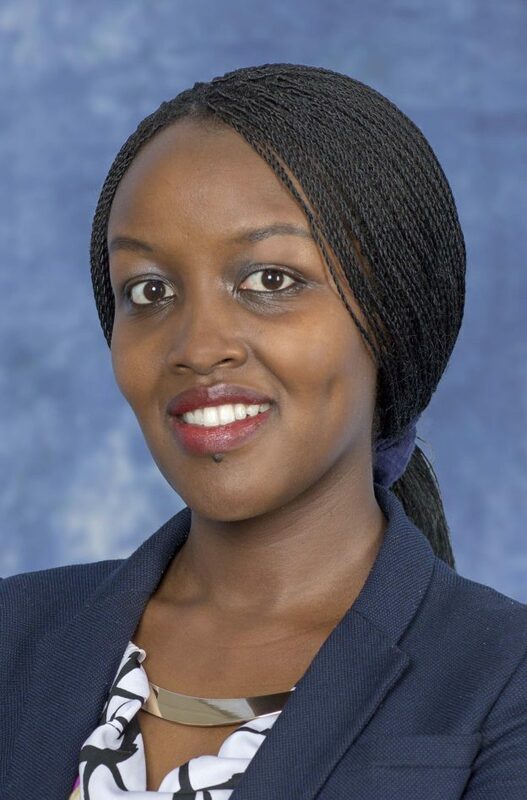 Check out the full article about Grama’s new post as Entrepreneur in Residence in partnership with the Legatum Center for Development and Entrepreneurship and the Martin Trust Center for MIT Entrepreneurship on the MIT Sloan Newsroom blog! This entry was posted in Alumni Blog on June 13, 2016 by Naomi Gutierrez. 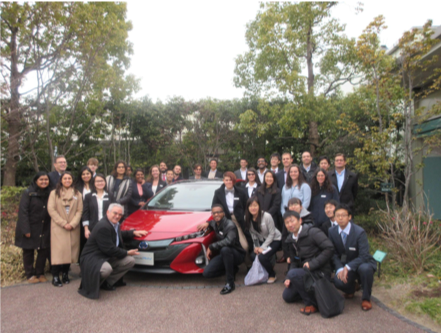 Check out the latest edition of the alumni newsletter! The newsletter is archived online here. To ensure you receive the newsletter as well as all our other alumni news, make sure you’re on the SDM alumni email list by emailing ngg@mit.edu. This entry was posted in Alumni Blog on June 6, 2016 by Naomi Gutierrez. Read the full article on Business Insider today. This entry was posted in Alumni Blog on June 1, 2016 by Naomi Gutierrez. 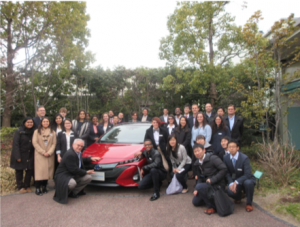 Check out the latest SDM alumni newsletter! The newsletter is archived online here. To ensure you receive the newsletter as well as all our other alumni news, make sure you’re on the SDM alumni email list by emailing ngg@mit.edu. This entry was posted in Alumni Blog on April 1, 2016 by Naomi Gutierrez. Read the full article on Kazhakstanskaya Pravda today. This entry was posted in Alumni Blog on February 19, 2016 by Naomi Gutierrez. Read the full article on the MIT Sloan Newsroom today. This entry was posted in Alumni Blog on November 9, 2015 by Naomi Gutierrez. Read the full article on CNBC today. Read the full article at the Boston Globe today. This entry was posted in Alumni Blog on September 28, 2015 by Naomi Gutierrez. Read the full GreenTechMedia article today. This entry was posted in Alumni Blog on July 13, 2015 by Naomi Gutierrez. Read the full IT-OnlinIe article. This entry was posted in Alumni Blog on July 9, 2015 by Naomi Gutierrez. Join the 2015 MIT SDM Conference on Systems Thinking for Contemporary Challenges: “A Whole-Systems Approach to Product Design and Development” on Wednesday, October 7, at the MIT Wong Auditorium. Alumni are also invited to join pre-conference activities on the 6th, including Back-to-the-Classroom Sessions and the annual SDM Alumni-Student Mixer. We hope to see you there. This entry was posted in Alumni Blog on June 17, 2015 by Naomi Gutierrez. 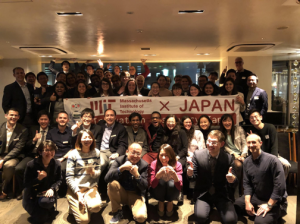 Learn about the MIT Alumni Association Infinite Connection and all of the benefits alumni receive. This entry was posted in Alumni Blog on November 4, 2014 by Naomi Gutierrez. Check out MIT’s Interactive Timeline and be sure to look at 1995. This entry was posted in Alumni Blog on October 27, 2014 by Naomi Gutierrez. Chris Berardi SDM ’11 at the SDM annual conference. This entry was posted in Alumni Blog on October 8, 2014 by Naomi Gutierrez. SDM alumna Andrea Ippolito presenting at the 2014 MIT SDM Conference on Systems Thinking for Emerging, Evolving, and Established Leaders. Pat Hale participating in Qi Van Eikema Hommes’ back-to-the-classroom session on “What Is Systems Thinking and Why Is It Important?” He is surrounded by alums. This entry was posted in Alumni Blog on October 7, 2014 by Naomi Gutierrez. Already in 2014, MIT System Design and Management (SDM) students and alumni have been featured 10 times in the popular SDM Systems Thinking Webinar Series. Conducted by SDM faculty, alumni, students, and industry partners, the series is designed to disseminate information on how to employ systems thinking to address engineering, management, and socio-political components of complex challenges. Click below to read the titles, abstracts, and bios from your impressive colleagues. Asif Iqbal (’11), Power and Performance Program Manager, Apple Inc. The series generally occurs twice monthly. View a complete listing of upcoming webinars and on-demand recordings. If you are interested in delivering a presentation in 2014 or 2015, please contact Lois Slavin, MIT SDM communications director. This entry was posted in Alumni Blog on September 30, 2014 by Naomi Gutierrez. I hope you enjoy reading posts about the careers and lives of fellow SDM alumni as much as I love receiving them. We are interested in all of your latest milestones, so please share your news with SDM. Just send an email to me so the community can share in your excitement. This entry was posted in Alumni Blog on September 24, 2014 by Naomi Gutierrez. Join us for the 2014 MIT SDM Systems Thinking Conference for Emerging, Evolving and Established Leaders | October 8 | MIT’s Wong Auditorium | Register today! This entry was posted in Alumni Blog on September 23, 2014 by Naomi Gutierrez. Alumni Moise Solomon (‘00), Ioannis Kyratzoglou (’11), and Steve Ajemian (’12) enlightening SDM fellows about their exciting work at MITRE. This entry was posted in Alumni Blog on September 22, 2014 by Naomi Gutierrez. Andrea Ippolito (’11), Ph.D. student in the MIT Engineering Systems Division, cofounder or Smart Scheduling, and coleader of MIT Hacking Medicine, will present “Hacking Leadership.” Visit sdm.mit.edu to read Andrea’s bio and the talk abstract or to register. We hope you will join us and personally congratulate Andrea on her Presidential Innovation Fellowship working with the Department of Veterans Affairs! We recently welcomed the newest group of Presidential Innovation Fellows into the federal government. This diverse group represents some of the nation’s most talented and creative civic-minded innovators. 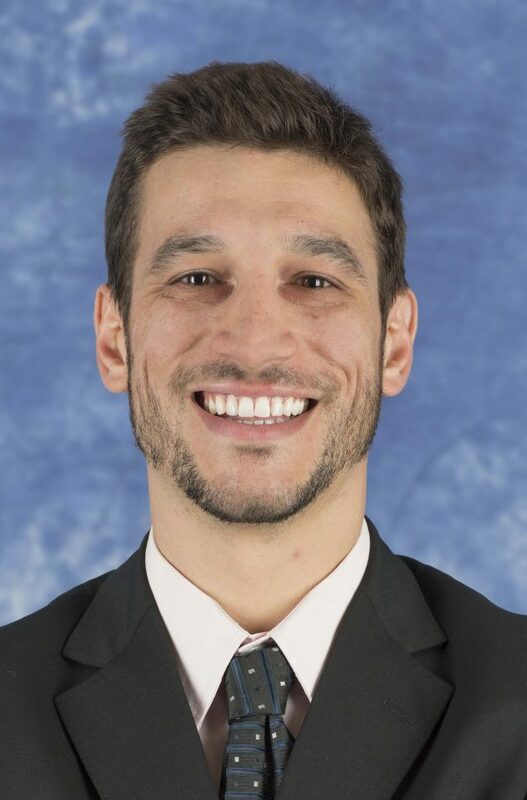 Christopher Berardi (’11), Ph.D. student in the MIT Engineering Systems Division and a captain in the US Air Force will present “The Importance of Failure and the Incomplete Leader.” Visit sdm.mit.edu to read Chris’ bio and the talk abstract or to register. This entry was posted in Alumni Blog on September 18, 2014 by Naomi Gutierrez. 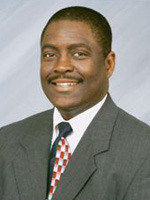 Freddie Douglas III (’00), director of the Office of Safety and Mission Assurance at NASA’s John C. Stennis Space Center, will present “A Systems Thinking Framework for Emerging, Evolving, and Established Leaders.” Visit sdm.mit.edu to read Freddie’s bio and the talk abstract or to register. This entry was posted in Alumni Blog on September 15, 2014 by Naomi Gutierrez. 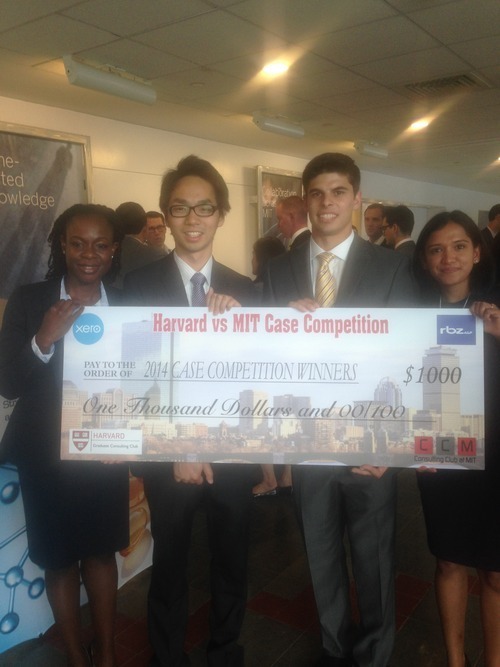 SDM ‘14 Darshini Thiagarajan helped an MIT team win this year’s case competition against Harvard. the first place winner, MIT Team 6 included: Chieze Ibeneche-Nnewihe, Shiou-chi Chang, Adam Weiner, and Darshini. The Harvard vs. MIT Case Competition is a 10-day event co-organized by the Harvard Graduate Consulting Club (HGCC) and the Consulting Club at MIT (CCM), offering graduate students and postdoctoral fellows the opportunity to work in teams on a business case under the mentorship of consultants and industrialists. The case is a real-life business challenged posed by the senior management of a selected firm. You’ll have to catch Darshini (to the right below) at the 2014 SDM Conference on Systems Thinking to chat about the winning strategy. 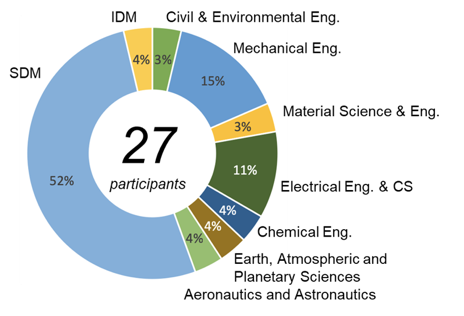 Thank you to those of you who attended last year’s MIT SDM Conference on Systems Thinking for Contemporary Challenges—and especially to those who completed the post-conference survey. 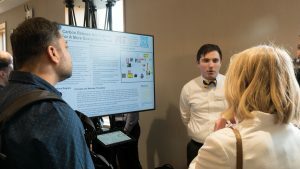 Comments indicated that you wanted more presentations from faculty, with deeper technical information to help you continue your education at MIT. In response, this year SDM has developed preconference sessions for SDM alumni and company partners. These “back-to-the-classroom” sessions will be offered during the afternoon of October 7 (2 to 5 p.m.) in Wong Auditorium for SDM alums and others who want to learn about the latest MIT research in systems thinking. SDM faculty members Bryan Moser and Qi Van Eikema Hommes will deliver the presentations and there will be ample time for Q&A. Preregistration is required. The annual alumni-student mixer will follow these session, from 6 to 10 p.m. at Catalyst in Kendall Square. Whether or not you can join us for the preconference activities, we hope you will join us for the mixer. Please preregister. This entry was posted in Alumni Blog on September 11, 2014 by Naomi Gutierrez. 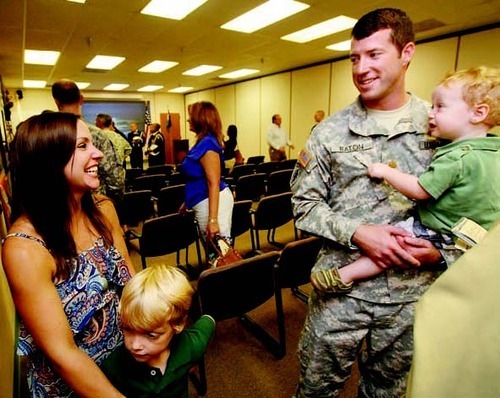 Josh Eaton (‘11), pictured above with his wife Ali and their two sons–Samuel, 5, and Jacob, 18 months, was recently promoted to Commander of the Special Forces Underwater Operations School in Key West, FLA. Two articles were written by Adam Linhardt of The Key West Citizen and the photo is by Mike Hentz/The Citizen. Please join SDM in congratulating Josh! This entry was posted in Alumni Blog on September 9, 2014 by Naomi Gutierrez. 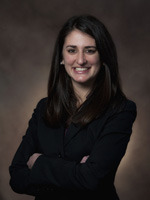 The Master of Engineering Management Programs Consortium (MEMPC) is a small group of highly selective, forward-thinking, professional graduate engineering management programs dedicated to facilitating career progress and placement for a national network of students, alumni, and faculty in engineering management. The MEMPC LinkedIn group already has more than 1,000 members, and SDM alumni are eligible to join this rich professional network. If you haven’t already done so, join the MEMPC LinkedIn group today. Also, be sure to check out the MEMPC alumni website at mempcalumni.org and sign up for that community as well. First day of school for the MIT SDM Class of ‘15 masters and certificate students. They are getting to know each other. 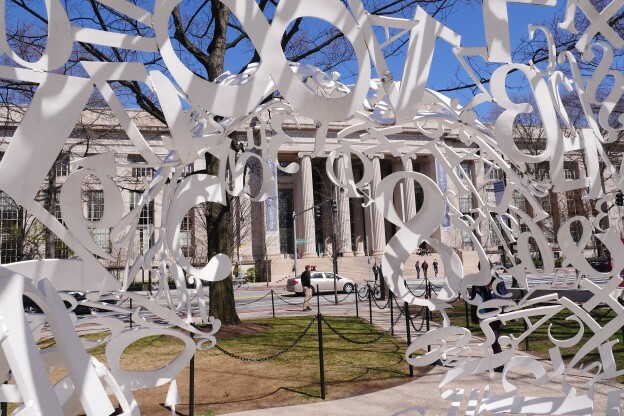 Please join us in welcoming them to MIT. This entry was posted in Alumni Blog on August 18, 2014 by Naomi Gutierrez. “Move Over, Big Data! 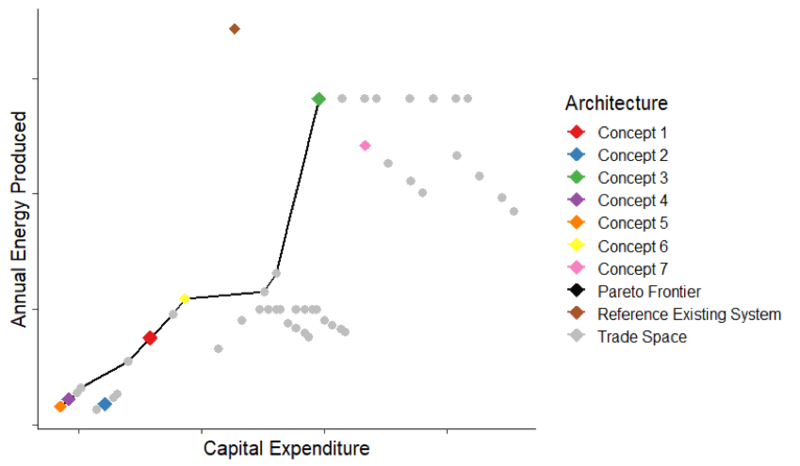 How Small, Simple Models Can Yield Big Insights,” is the next MIT SDM Systems Thinking Webinar. Richard C. Larson, Ph.D., Mitsui Professor of Engineering Systems and Director of the Center for Engineering Systems Fundamentals, MIT, will present on Monday, September 8, noon-1 p.m. EDT. Visit sdm.mit.edu for more details and to register. This entry was posted in Alumni Blog on August 6, 2014 by Naomi Gutierrez. Adeyemi “Yemi” Adepetu, along with two co-founders, has launched NovaGen Power Solutions to collect organic waste from apartments and convert it into biogas to fuel generators in Nigeria. Back pack prep for the SDM Class of 2015! And this is just the beginning. This entry was posted in Alumni Blog on July 31, 2014 by Naomi Gutierrez. New Scientist featured an article on SDM ’13s Alex Pina and Sean Gilliland’s start-up, Avalanche Energy. Read it online at the magazine’s website. You can also learn about the systems thinking behind the company’s patent-pending double reflector solar thermal collector in an article published by SDM. 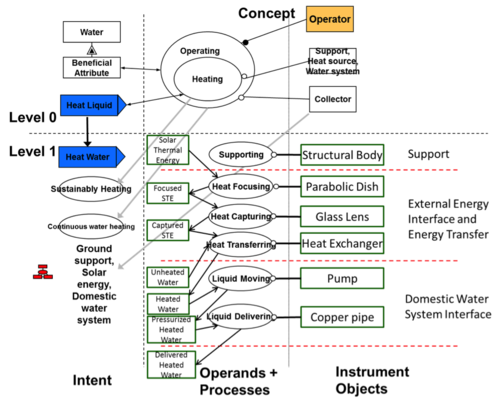 This object process methodology diagram shows a residential solar thermal water heating system, demonstrating the function of each system component. This entry was posted in Alumni Blog on July 23, 2014 by Naomi Gutierrez. This entry was posted in Alumni Blog on July 20, 2014 by Naomi Gutierrez. This entry was posted in Alumni Blog on July 19, 2014 by Naomi Gutierrez. Andres Kütt (‘11), will present “System Architecture, the Evolution of E-Governance in Estonia, and Lessons for Industries Around the World” on Monday, 7/21, 12-1pm as part of the MIT SDM Systems Thinking Webinar Series. Andres is currently the Head Software Architect for the Republic of Estonia and much of his in the e-governance/digital business space. Prior to matriculating at SDM, Andres was Chief Evangelist at Skype. 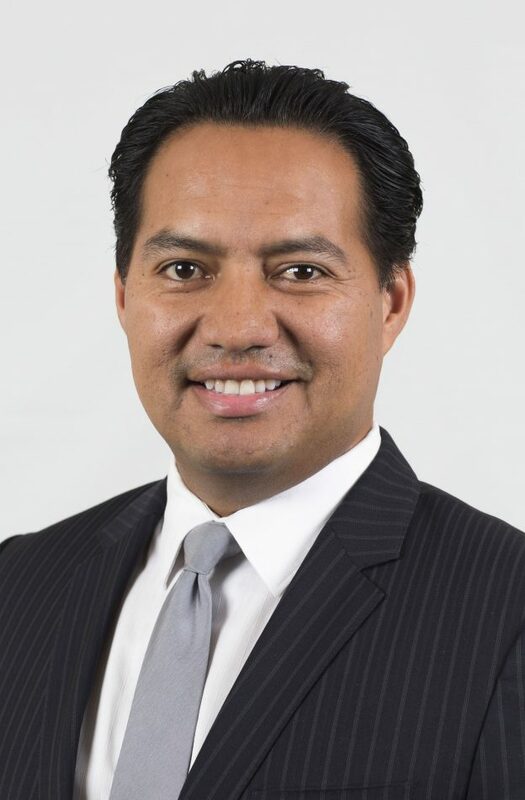 Andres will be on campus on Friday, 7/25 addressing SDM fellows from 11:30 – 12:30 and is planning to join in evening festivities and networking. Please let me know if you are interested in and available to attend, so I can provide additional details (parrillo@mit.edu). This entry was posted in Alumni Blog on July 18, 2014 by Naomi Gutierrez. The Change of Command Ceremony is a time-honored tradition that formally restates to the officers and personnel the continuity of the authority of the command. It is a total transfer of responsibility, authority, and accountability from one individual to another. The Research & Development Center supports the Coast Guard, the Department of Homeland Security, other U.S. government agencies, and the world’s maritime community with the latest technologies available for Search and Rescue, Law Enforcement, maritime safety, environmental protection, and ports, waterways, and coastal security. 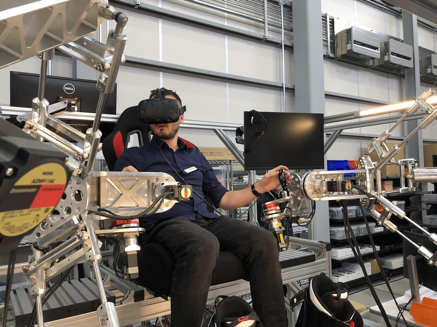 The Research & Development Center’s everyday mission ensures each Coast Guard unit has the equipment, training, and policies necessary to fulfill the service’s ever-expanding set of missions. Please join SDM in congratulating Dennis. Many thanks to Dennis for sharing your news with us. This entry was posted in Alumni Blog on July 16, 2014 by Naomi Gutierrez. After graduating Khalid Al-Ahmed returned to Saudi Arabia and Saudi Aramco. He joined the Corporate Planning department as an economy and energy analyst. While with the company Khalid was chosen as a Young Leaders Advisory Board member, an elite group of employees who engage top management on a range of topics and help connect young employees to the top decision makers and the CEO. This June, Khalid moved, with his family, to Geneva, Switzerland. There he started a “secondment assignment” with the World Economic Forum as manager of Knowledge Management and Integration with Energy Industries. Please join SDM in wishing Khalid and his family continued success and all the best in their new home. Thank you for sharing your news with us, Khalid! 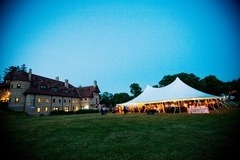 SDM Summer Social will be held on Wednesday, July 23, 6-9pm, at the Larz Anderson Auto Museum and Park in Brookline (SDM will provide buses from campus). Members of the SDM community, along with their families, are invited to attend. Please view the formal invitation and RSVP today. This entry was posted in Alumni Blog on July 8, 2014 by Naomi Gutierrez. SDM Pulse Spring 2014 Edition Is Now Available on the SDM website. This entry was posted in Alumni Blog on July 7, 2014 by Naomi Gutierrez. Rohan Kulkarni (’13), president of BigDataExplorers@MIT recently announced the new leadership for the group he founded. Rohan graduated this June and left the group in good hands. The leaders of BigDataExplorers@MIT for the upcoming academic year will be Jim Barkley (’14) and Daniel Burseth (LGO) as the co-presidents; Ilias Hamdouch (’14) will be the treasurer of the club. Jim Barkley is currently an SDM fellow and a principal software systems engineer at The MITRE Corporation. His areas of interests are diverse and include open-source software, open hardware, big data, cyber-physical systems, complexity, agile software development, and wearables, to name a few. 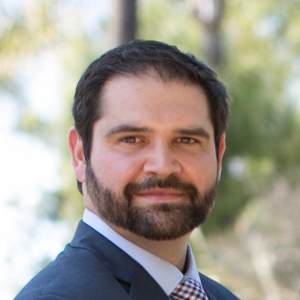 Ilias Hamdouch, another SDM fellow, previously consulted with governments and enterprise customers on development strategies in renewable energy and in the information communications technology markets in the Europe, Middle East, and Africa region. Ilias’ interests include open-source software, network science, predictive analytics, and collective intelligence to support public-private partnerships locally and globally that can overcome society’s most stubborn problems in fields including energy, environment, healthcare, education, employment, and poverty. This entry was posted in Alumni Blog on June 20, 2014 by Naomi Gutierrez. INCOSE Symposium 2014—Join Us If You Can! The International Council on Systems Engineering (INCOSE) 2014 International Symposium will be held June 30–July 3, in Las Vegas. Pat Hale and I are planning to be there, with Pat attending sessions and socials while I promote SDM in the exhibit area. I bet we’ll both enjoy the trip. If you plan to attend, please let us know so that we can look out for you and perhaps organize an SDM dinner. This entry was posted in Alumni Blog on June 17, 2014 by Naomi Gutierrez. Please join the SDM program staff in congratulating those who graduated this year and celebrated on June 6, 2014. Below is a slideshow of the day. All quotes are from MIT President L. Rafael Reif’s charge to the graduates. Please visit http://newsoffice.mit.edu/2014/president-reifs-charge-graduates-0606 to view the prepared text in its entirety [cited as (RR, 6/6/14)]. All photos are courtesy of Alex Sanchez, ‘13. This entry was posted in Alumni Blog on June 13, 2014 by Naomi Gutierrez. The MIT community gathers to celebrate the 148th Commencement. Celebrants gather outside of E62, the “new” Sloan building. *“QUESTION: I want my New MIT Graduates to perform at the peak of their abilities. What can I use to motivate them? The SDM party is hosted at the Liberty Hotel, formerly a prison, where grads celebrate freedom from the pressure of the Thesis. Pat Hale addresses attendees with some heartfelt remarks. Current and graduating fellows gather for a group shot. 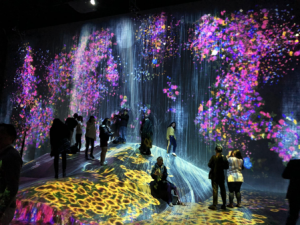 Back-to-the-classroom sessions will be offered during the afternoon of October 7 for SDM alums who want to learn about the latest MIT research in systems thinking. These will be delivered by SDM faculty members Bryan Moser and Qi Van Eikema Hommes. Please register. The annual SDM Alumni-Student Mixer will take place Tuesday, October 7, from 6-10 p.m. at Catalyst in Technology Square. Please register. Systems Thinking for Emerging, Evolving, and Established Leaders. An SDM Information Evening will be held Wednesday, October 8, from 6-9 p.m. Please check sdm.mit.edu for details. This entry was posted in Alumni Blog on April 24, 2014 by Naomi Gutierrez. 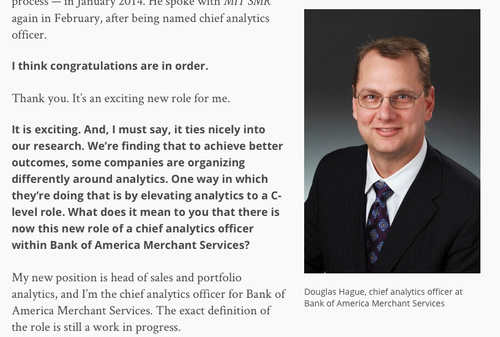 In an interview for MIT Sloan Management Review, Doug Hague (’99), chief analytics officer for Bank of America Merchant Services, discusses his role in making strategic business decisions. Hague has “one of the first analytics roles to report directly to the CEO at Bank of America Merchant Services,” according to the article by Renee Boucher Ferguson. Jorge Moreno (’11) and Donny Holaschutz (’10) cofounded inodú and have been collaborating on “a general plan of action for energy and sustainability solutions that can be customized and applied across industries.” In their April 7 webinar, the two also spoke about specific examples in Chile. The presentation and slides are available on demand. 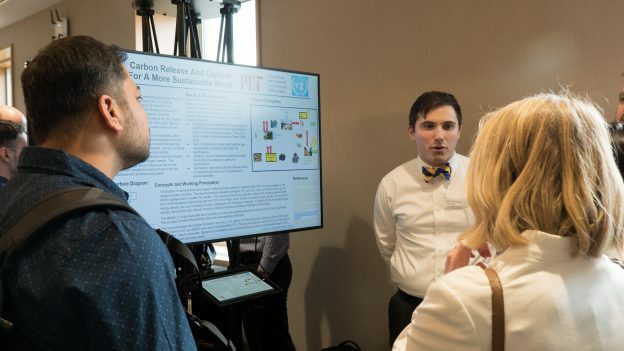 On Wednesday, April 2, SDM hosted an Information Evening at the Boston Marriott Cambridge hotel to introduce prospective students to the program. Thirteen out of 20 registrants attended. If you know someone who would make a good candidate for MIT’s System Design and Management (SDM) program, please keep an eye out for future Information Evening sessions and feel free to direct your colleagues to the Virtual Information Session—available on demand. 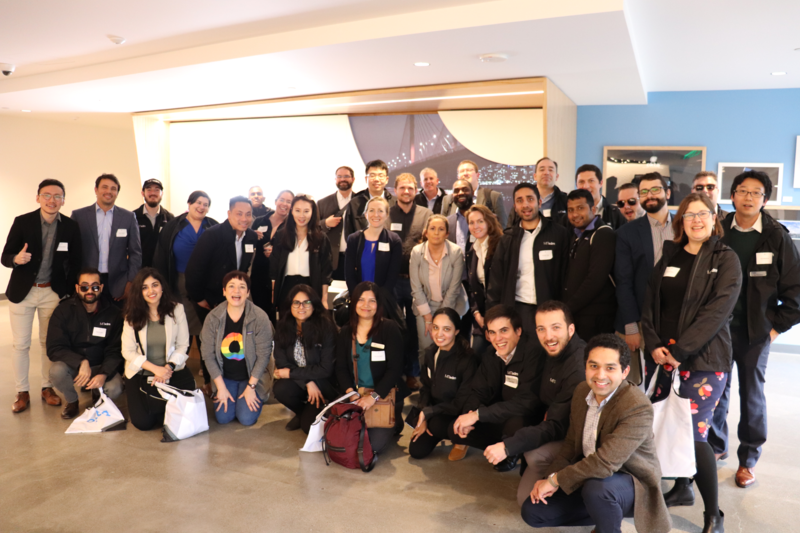 During the week of March 23-28, 21 SDM students, three other staff members, and I visited California’s San Francisco Bay Area and Silicon Valley for a Tech Trek. 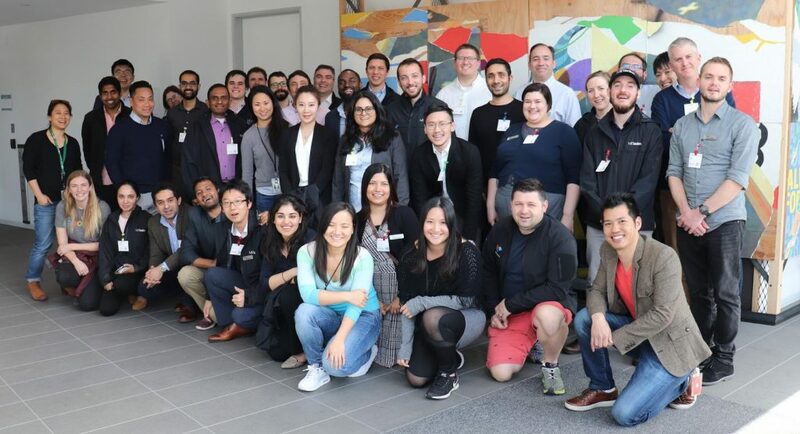 We visited App Dynamics, Google Ventures, Intuit, Palantir, Salesforce, SanDisk, Tesla, and Yelp—eight companies in four days. We also carved out time to mingle with SDM alumni at a private event held at Picchetti Winery in Cupertino. We were fortunate that Wassim Bassalee (’09), Deep Bhattacharjee (’07), Harish Doddala (’12), Cheri Markt (’09), Cynthia Munoz (’08), Abhijith Neerkaje (’12), Varun Parmar (’04), and Leena (’11) & Aravind (’10) Ratnam were all able to join us at the mixer. We also saw Karthik Malli Mohan (’08) at SanDisk. We would like to extend special thanks to those who helped us along the way, especially Abhijith, who ensured that we were able to meet with top leaders at SanDisk and Sam Chow (‘05), who came to the info session. If you didn’t receive email invitations to the mixer and live in the area, please review your profile, especially your preferred address, in the Virtual Community. If you encounter any difficulties, send me an email. Alumni-Student Mixer at Picchetti Winery. Thank you to everyone who joined us! Thank you, Abhijith, for a wonderful visit. 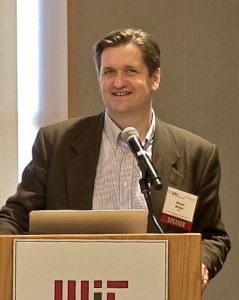 MIT Senior Lecturer Steven Spear of the Engineering Systems Division and the Sloan School of Management delivered a webinar on “‘Gap-Filling Organizations’: Competing at Speed in a Moving World.” The presentation and slides are available on demand. Although I wasn’t able to attend this year’s event, I heard it was a good one. Apparently, the Summer Shack has been remodeled and the flow was much better for our group. With almost 150 anticipated guests, the SDM community took over the entire main space. Many of the staff attended with their families, as did a number of alumni. Some who indicated they were planning to attend included: Chris Berardi, (’11), Andy Campanella (’11), Karl Critz (’10), Stephen Friedenthal (’04), Leigh Gautreau (’08), Dev Goyal (’10), Sunish Gupta (’09), Mike Khusid (’08), Ioannis Kyratzoglou (’11), Brian London (’10), Alvaro Madero (’12), Ofri Marcus (’08), Jean-Baptiste Nivoit (’11), Maya Olsha-Yehiav (’08), Andrew “Ozz” Oswald (’11), Victor Piper (’11), Charbel Rizk (’08), Fady Saad (’11), and Emad Zand (’08). It looks as if a few SDM ’08s made the event a mini reunion. I really wish I had been there. Alumni Victor Piper (’11), Karl Critz (’10), Fady Saad (’11), and Mike Khusid (’08) participated in a panel discussion organized by current fellow Jim Barkely . Moderated by Matt Kressy, senior lecturer in the MIT Engineering Systems Division, the panel shared life experiences and career advice with an eager audience of current students. SDM alumnus Dmitriy Lyan (’11) and current student Ali Kamil delivered a webinar on “Addressing Patient Wait Times with Systems Thinking.” The presentation and slides are available on demand. In accordance with the Master of Engineering Management Programs Alumni Council (MEM PAC) constitution, annual voting has occurred for the alumni co-chair position. 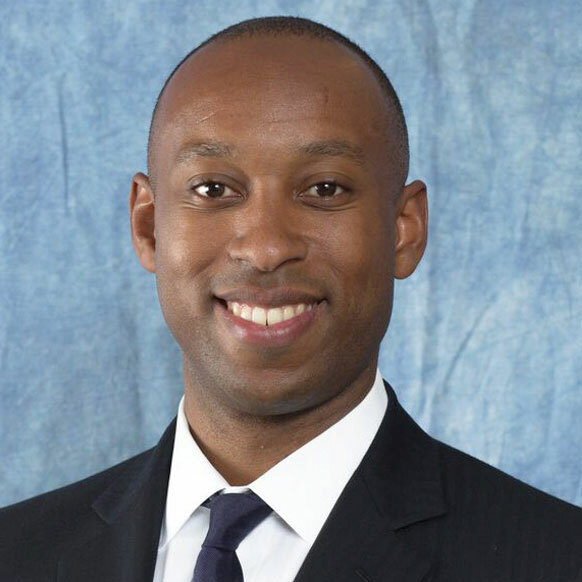 Troy Hamilton, SDM ’97, will assume responsibilities immediately with the assistance of MEMPAC Founding Alumni Chair Adam Detwiler. 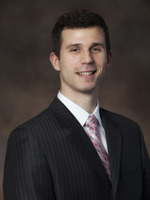 Hamilton has been an active member of the MEM program’s alumni council for approximately a year. He initially attended a networking event in New York City and later became a regional planner. Hamilton joined the national council for biweekly conference calls and quickly identified areas in which he would have positive impact. He created a communications subcommittee and developed a strategy in which the national council supports regional groups through a centralized communications database, invitation templates, and other tools. Hamilton’s greatest contribution, to date, is the design and development of mempcalumni.org, a hub for the MEMPC alumni network, where regional information, a calendar of events, ways to get involved, and more are posted. Hamilton and Detwiler have been collaborating closely over the past few months, and Hamilton even presented the council’s 2014 strategy and budget proposal to the MEMPC leadership in November. For more information, contact Troy Hamilton at troy@mempcalumni.org. Charles Iheagwara, Ph.D., SDM ’10, was interviewed on a recent cyber-security breach at the University of Maryland. Watch the video today. SDM is the pinnacle of my education. SDM alumnus Ali Almossawi’s new book is featured on Buzzfeed! Check it out. 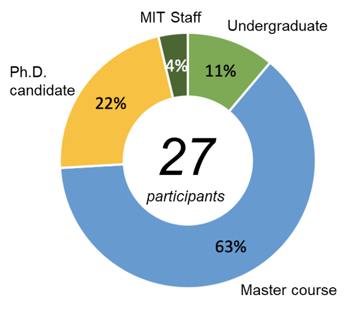 I’m very excited to announce that we’ve completed phase II of the Alumni Connect initiative. We scoured LinkedIn to update alumni profiles. It was a manual process completed one alumnus at a time for over 725 alumni. Many thanks to everyone who helped, especially the original Alumni Connect committee, Chris Bates, and Steven Derocher (who assisted with the data upload). Please be sure to update your profile in the Virtual Community. This entry was posted in Alumni Blog on September 25, 2013 by Naomi Gutierrez.